It’s not everyday where you get the chance to craft the image of an entire city. In 2018, the City of South Gate allowed us to do just that. They had been using their city seal as a de facto logo mark for a really long time and it didn’t feel representative of the energy of the city. Through an enormous amount of interviews and research with the citizens of South Gate, we were able to close in on language and design that felt right for where the City wanted to be and where it wants to go. In crafting the brand, we began with the mark. We wanted to create something that the City could rally around and wouldn’t be embarrassed to sport on a t-shirt or grace their official documents. The logo mark is a dimensional combination of the “S” and “G” signifying the City’s tight bond with its citizens. The middle acts as an area to place people or concepts, giving the sense that South Gate surrounds and holds its citizens tightly and values them dearly. After establishing the mark, we moved onward to create a campaign. 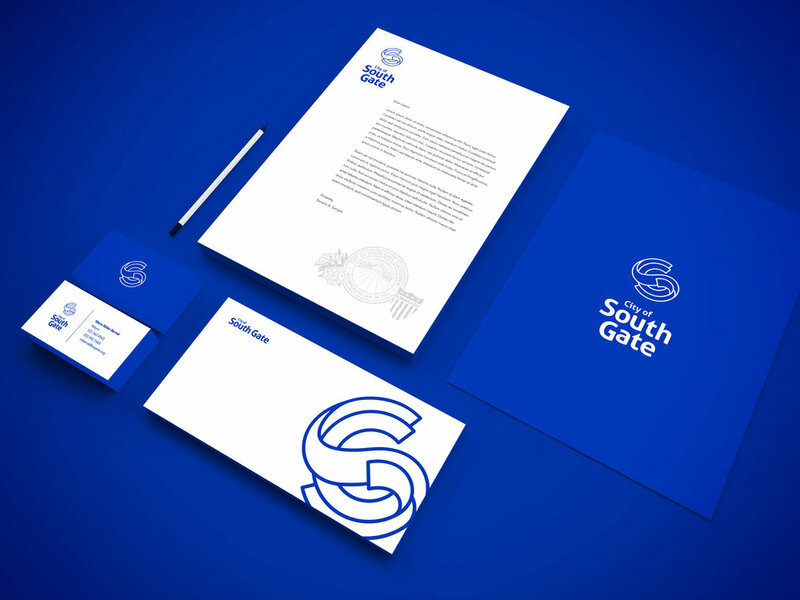 We really needed the citizens of South Gate to embrace the new brand, so we came up with a brand tone that matched much of what we heard in the research. South Gate’s citizen’s are down to earth, proud, strong, and real. It seemed natural to embrace the vernacular that people unknowingly tossed around to begin with. Ultimately, “So Gate” was a truly effective brand campaign that shepherded the new look in with mass approval and excitement.